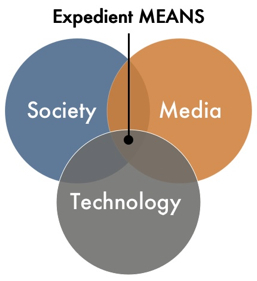 Marshall McLuhan’s watershed work The Medium is the Massage: An Inventory of Effects is obviously the inspiration for this post. I first came across his book in 1967 and was completely blown away. My best friend, Tim, a budding graphic designer and fantasy artist, came running up to my front door waving the book. We launched into an hours long discussion of what it meant, and how it was relevant to what we were seeing, reading and watching. We desperately wanted to change the world, and were convinced this was the instruction manual, our treasure map. This is my original copy from 1967. Cover price $1.45. Of course this book was a keeper, and I have watched after it for 31 years, through twelve moves and six cities. Unfortunately books are heavy and take up a lot of space. They also procreate on their own, as I always seem to have more today than yesterday. Having lots of books is a curse, and inflicts pain each time I move. But I can’t live without them, despite the content available today online. I was looking for a muse last night, so I started combing the stacks in my basement in search of one. 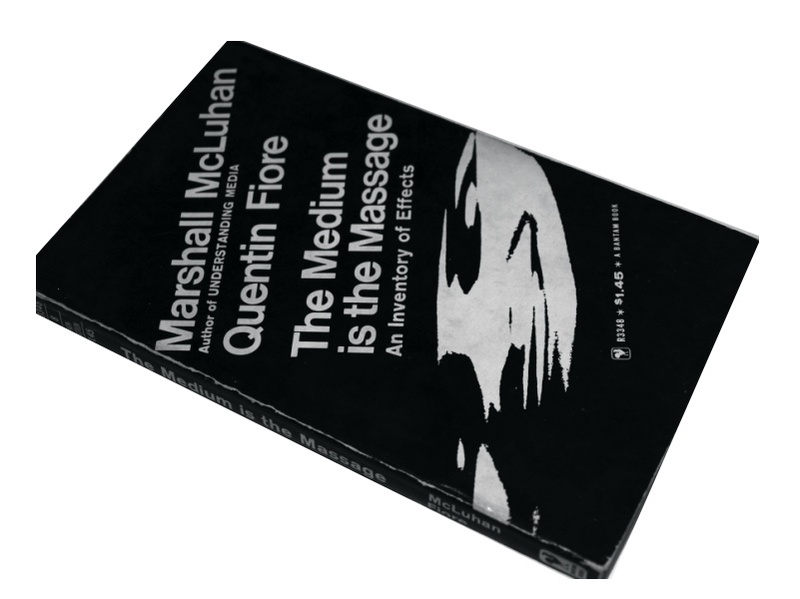 Mr. McLuhan’s book practically leapt off the media theory shelf directly into my hands. I took it as a sign and settled into a comfy chair. My head exploded. The universe is one humongous cycle. Nothing is original, but everything is original at the start of each new cycle. All of us who inhabit the online social communities feel like we are doing something truly original. And in a way we are. Technology today is moving at an astounding pace. The web, barely 20 years old, is disappearing into every device and medium. It has advanced so far that we find it difficult to discern any borders between the analog world and the digital world. If you are reading this you are part of the online social media revolution. When I re-experienced Mr. McLuhan’s book it reminded me that we are not original in our desire to revolutionize, we just have better technology. Here are samplings from the book. The parallels to social computing are erie. The older, traditional ideas of private, isolated thoughts and actions−the patterns of mechanistic technologies−are very seriously threatened by new methods of instantaneous electric information retrieval, by the electrically computerized dossier bank−that one big gossip column that is unforgivng, unforgetful and from which there is no redemption, no erasure of early “mistakes.” We have already reached a remedial control, born out of knowledge of media and their total effects on all of us, must be exerted. How shall the new environment be programmed now that we have become so involved with each other, now that all of us have become the unwitting work force for social change? What’s that buzzzzzzzzzzzzzzzzzzzzzzzzzzzzzzzz? Electric circuitry has overthrown the regime of “time and “space” and pours upon us instantly and continuously the concerns of all other men. It has reconstituted dialogue on a global scale. Its message is Total Change, ending psychic, social, economic, and political parochialism. The old civil, state, and national groupings have become unworkable. Nothing can be further from the spirit of new technology than “a place for everything and everything in its place.” You can’t go home again. The worldpool of information fathered by electric media−movies, Telstar, flight−far surpasses any possible influence mom and dad can now bring to bear. Character no longer is shaped by only two earnst, fumbling experts. Now all the world’s a sage. From the fifteenth century to the twentieth century, there is a steady progress of fragmentation of the stages of work that constitute “mechanization” and “specialism.” …”Come into my parlor,” said the computer to the specialist. A new form of “politics” is emerging, and in ways we haven’t yet noticed. The living room has become a voting booth. Participation via television in Freedom Marches, in war, revolution, pollution, and other events is changing everything. The shock of recognition! In an electric information environment, minority groups can no longer be contained−ignored. Too many people know too much about each other. Our new environment compels commitment and participation. We have become irrevocably involved with, and responsible for, each other. 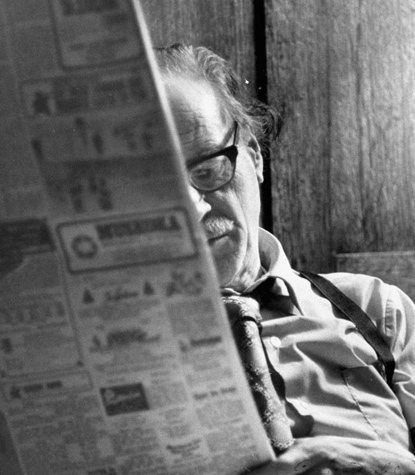 The Internet wasn’t invented yet, but Mr. McLuhan knew it was coming. In fact he was already there. He even had the right form factor, electric technology. 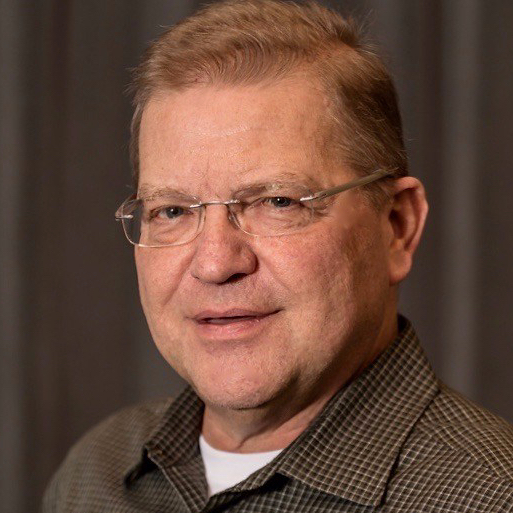 His book restated what sociologists of the day were saying in a more powerful and dynamic way by getting it out of the classroom and into everyday life. He made it feel like the anarchist cookbook. The book is actually a prototype weblog−full of white space−inviting the reader to comment, rate, and forward to a friend. It kick started thinking about how we could reshape and restructure our standing in society and awakened us to the social interdependence that is critical for survival and the key to creating a better tomorrow. It was about power. About possibilities and outcomes. Are you ready? Because here it comes, again.